Last Night Was Oscar Night! Well hello there! I hope you all had wonderful weekends. Did you watch the Oscars last night? I did, and, as promised, am here to chat about them with you today. Now, I know today’s post is going up later than usual, and I apologize for the delay. But if you are in the middle of preparing for your workday tomorrow, don’t worry! This won’t take long. The red carpet pre-show was more exciting than the Oscars. And even that wasn’t very exciting. The end. Ta-da! I told you that wouldn’t take long. 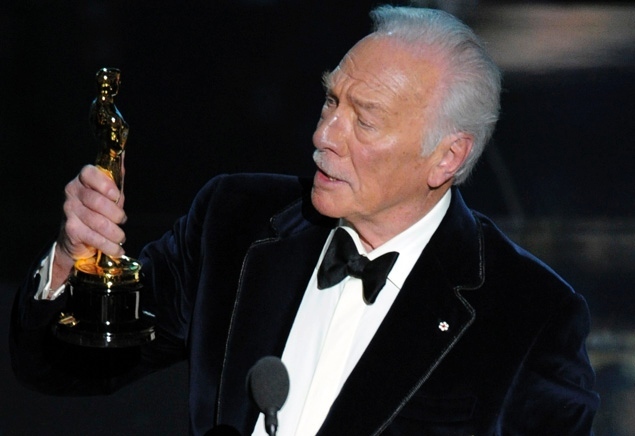 Captain von Trapp finally has his Oscar! Hooray! All is now right with the world. Plus, the man is 82 years old, and he navigated the stairs leading up to that stage better than some much younger winners I could name (Octavia, I’m looking at you!) He earned it! 17 nominations. 17!!! It’s about time, don’t you think? Truthfully, of her more recent nominations, I think she really should have won for Julie & Julia instead…but I’ll take it! And on top of everything else, she gives such fabulous speeches! I wish a class with her was mandatory for all nominees prior to the broadcast. I bet I would’ve had a lot more to blog about, in that case! Speaking of those 17 nominations, you can click here to see a slideshow of them all, complete with a “Should She Have Won?” recap of each performance. What do you think of Slate’s verdicts? Do you agree with their choices? Well, I think that’s just about enough recapping for me! Now that the big night has come and gone, the stars will go back to eating carbs, and I’ll go back to blogging about my life as a movie. And stay tuned for a brand new countdown that will be kicking off soon! I had totally forgotten that Woody Allen segment. It was brilliant and shows off New York as it should. In a show that honors the movies, their stars, and their makers – how can there be too many montages? Each montage makes you remember the past and hope for the future – so I say bring them on.